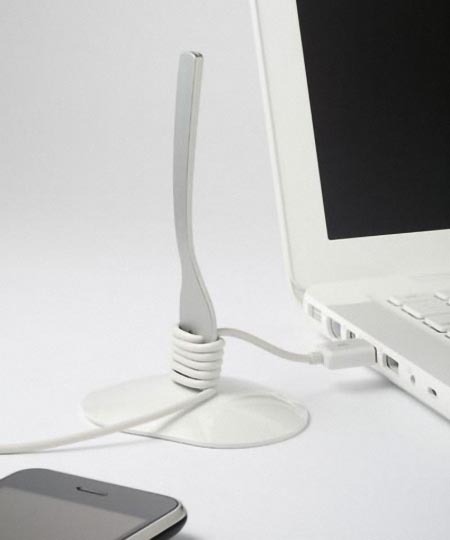 Have you remembered that interesting fork shaped cable organizer? 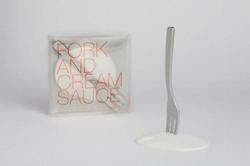 Now Fork and Cream Sauce has been available. If you need a cable organizer to manage the tangled cables on your desk, let’s go on checking. 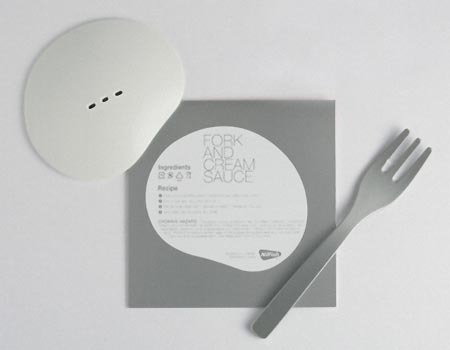 As we can see from the images, Fork and Cream Sauce is a unique cable organizer instead of tableware and delicious food. The cable organizer is designed by Lufdesign, a design studio founded by Tsunho Wang. The cable organizer consists of two parts, including a fork and cream sauce styled base, each part is made of ABS. 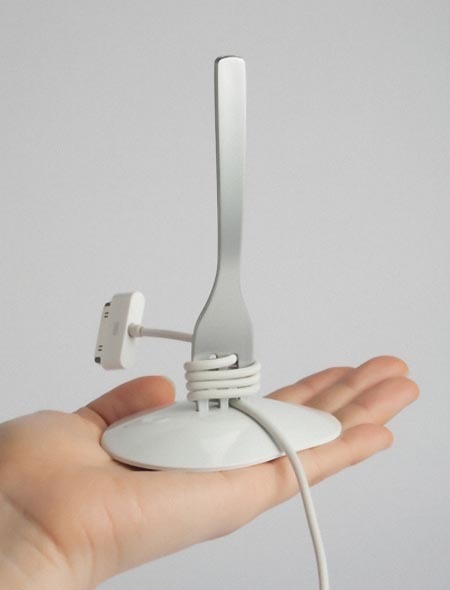 You can wind the USB cable around the fork, and plug it into the cream sauce in order to organize the tangled cable on your desk. 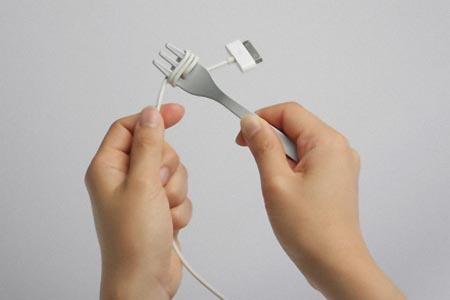 Apart from that, the detachable design make the cable organizer easy to carry. Fork and Cream Sauce cable organizer is priced at $13 USD. If you’re interested, jump to Lufdesign official site for more details. Additionally, if you need more options, you might like to check Cordless cable organizer, AppleCore cable organizer and more via “cable organizer” tag.